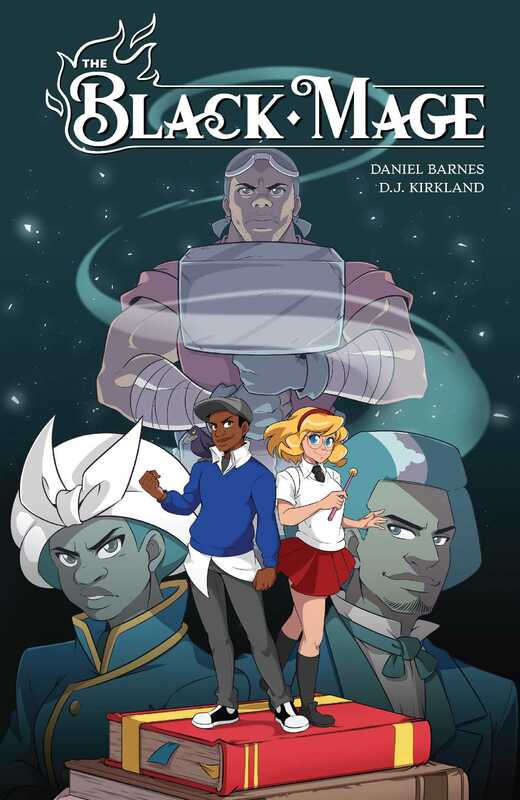 Harry Potter meets Final Fantasy in this subversive original graphic novel where race, history and magic collide. When St. Ivory Academy, a historically white wizarding school, opens its doors to its first-ever black student, everyone believes that the wizarding community is finally taking its first crucial steps toward inclusivity. Or is it? When Tom Token, the beneficiary of the school's "Magical Minority Initiative," begins uncovering weird clues and receiving creepy texts on his phone, he and his friend, Lindsay, stumble into a conspiracy that dates all the way back to the American Civil War, and could cost Tom his very soul. D.J. Kirkland is a comic book artist from Charlotte, NC. He graduated from the Savannah College of Art and Design (SCAD) in 2009 with a BFA in Sequential Art, which is just a fancy word for comic books. When he’s not drawing comics, D.J. spends his time doing MORE drawing, playing fighting games, watching anime and talking about all of those things on a podcast with one of his best friends called Magical Boys. You catch him yelling about all of those things on Twitter and Instagram @OhHeyDJ.